ladybird, a photo by Bearseye on Flickr. This evening I have mostly been stitching black spots on to red clothes. Yes, that's right I'm officially a primary school mum now. I am making a ladybird costume for my daughter's book week at school. 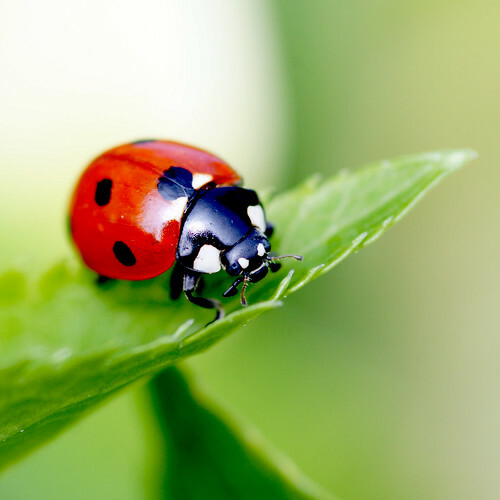 I therefore thought it only right to share a fabulous ladybird photo with you. I love this one because the detail is incredible. The colours are really vibrant too. Oh and in case you were wondering the lady bird my daughter is dressing up as is the one from 'What the Ladybird Heard'. I hope the costume ends up looking OK!